This clause follows the Second Amendment fairly closely, which states that “A well regulated Militia, being necessary to the security of a free State, the right of the people to keep and bear Arms, shall not be infringed,” while also going into more depth by mentioning that guns may be used with the intention of self-defense. 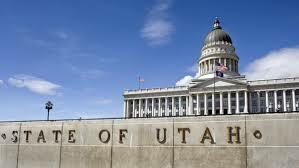 While researching, I discovered some laws that I found to be particularly interesting, such as that no Utah state permit is required to purchase or possess a rifle, shotgun, or handgun. Guns may be purchased without a background check at gun shows, and there is no permit required to possess a gun on one’s personal property. If one’s business requires making, designing, or selling firearms, they may not be sued for subsequent use, with the caveat that the user must be under the contract or warranty for the gun or ammunition purchased by the state or state subdivision. These are only a few examples of the laws I found to be particularly interesting; the rest I found to follow the Second Amendment fairly closely, and thus seemed fairly self-explanatory. The main theme of all of the laws I found while researching was how easy it was for anyone to gain possession of a gun. This is due to the Second Amendment, which gives the right for every legal and capable American citizen to own and handle a gun. As much as I can appreciate our state’s adhering to the principles that our country was built on, I believe that it is time for a change in the way we handle gun laws, especially regarding regulation. It’s important for me to say that I do not think it is reasonable to ban all guns. As much as I would personally prefer for the Second Amendment to be repealed, I do not think it is plausible, being that it would be a nearly unattainable effort to get rid of all firearms. With no legal guns in circulation, the number of deaths due to firearm use would decrease immensely; also, fewer legal guns would be available the also reducing the surfacing of illegal guns and making them more unobtainable. Some claim that guns make them feel safer, and whether people agree with it or not, it is their right to own them as American citizens. Therefore, I propose a reform to regulate purchases of firearms. This can be executed through requiring all sales or transfer of ownership of guns is regulated through the state. This would increase legitimate, responsible purchases and ownership, requiring the background checks, licenses, and permits that might not be requested at gun shows or through private sellers. Moreover, the government’s capability to monitor gun owners and ensure that they are continuing to be responsible users would also be the result of state regulation of firearms. This would reduce the number of illicit and delinquent possessors, thus reducing the amount of violence caused by firearms. Though the Constitution may seem like a concrete set of rules, it is a living document that changes with the times. Just as the ratification of the Fifteenth Amendment, which allowed all people of different races to vote, used to be considered radical, it has proven to grow our nation’s prosperity, leadership, and reputation toward a new stage of enlightenment. Regulating the implementation of the Second Amendment may seem like a radical choice at present; however, it may result in a more prosperous, peaceful, and safer nation. All in all, though complete gun control throughout the country is ideal, it would be more effective to start the reform at the state level. What a crock! The 15th didn’t change anything, only clarify something. The Constitution says what it says and means what it means. The argument for a living document comes from liberals who live in lala land. The founding Fathers saw things in black and white, not Psychedelic . The Constitution (at least the first 15 amendments) do not “change with the times”. Modern Progressives are creating “Safe Spaces” in several colleges, which suspend the First Amendment to please hyper-sensitive people who can’t cope with people disagreeing with them. The Second Amendment will never be repealed or infringed.